Primary care physicians can expect to see more patients with gout in their offices, given CDC estimates that prevalence of the condition has increased by about 1.2 percentage points over the past two decades. But the best way to diagnose and manage gout is under some debate. New ACP guidelines on diagnosis of acute gout and management of acute and recurrent gout, published last November by Annals of Internal Medicine, highlight the importance of helping primary care physicians accurately diagnose and effectively manage an extremely painful inflammatory arthritic condition. However, the guidelines have led to concerns among rheumatology subspecialists about the role of uric acid measurement in primary care settings, as well as the lack of support for a treat-to-target approach to therapy. The ACP guideline on diagnosis makes one recommendation: Clinicians should use synovial fluid analysis when their clinical judgment indicates that diagnostic testing is necessary in patients with possible acute gout. A major hurdle to accurate diagnosis of acute gout, according to the guideline, is that it must be differentiated from several inflammatory conditions that can look similar, such as rheumatoid arthritis, septic arthritis, and inflammatory episodes of osteoarthritis, which have different management and treatment options. 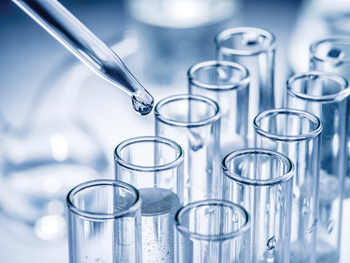 In the absence of synovial fluid analysis, according to the guideline, clinicians should refer patients to a source who can provide that testing, or clinicians should use their clinical judgment. It can be more challenging to get to a correct diagnosis if patients who have an acute attack of gout are seen by primary care physicians or emergency department physicians who may not as readily perform a synovial fluid analysis, according to the ACP guideline. The guideline committee noted that current evidence is "insufficient to recommend a single clinical algorithm for diagnosing gout" or to recommend use of dual-energy computed tomography or ultrasonography for diagnosis. Theodore R. Fields, MD, FACP, a rheumatologist and professor of clinical medicine at Weill-Cornell Medical College in New York, disagreed with the ACP recommendation, noting that while joint fluid analysis is the gold standard for gout, it may not always be a practical test for internists to perform. "[Internists] need whatever help they can be given on ways to diagnose gout without crystal analysis," he said, but the ACP guideline "does not put any of the published gout classification or diagnostic guidelines forward as helpful to internists." Instead, he noted, it "seems to imply that we have nothing except crystal identification to guide internists in gout diagnosis" and can leave the impression that nothing in the literature can help them make difficult decisions about diagnosing gout without this test. Dr. Fields said that the gout classification criteria developed as a collaborative initiative by the American College of Rheumatology (ACR) and the European League Against Rheumatism (EULAR), which were published in Arthritis and Rheumatology in 2015, could be a helpful resource for internists. The criteria involve a 23-point scoring scale encompassing three domains: clinical (pattern of joint/bursa involvement, characteristics and time course of symptomatic episodes), laboratory (serum urate, monosodium urate monohydrate [MSU]-negative synovial fluid aspirate), and imaging (double-contour sign on ultrasound or urate on dual-energy computed tomography, or radiographic gout-related erosion). A score of 8 and above indicates gout. In addition, patients who have MSU crystals in a symptomatic joint or bursa or in a tophus are considered to have gout with no additional scoring needed. Dr. Fields emphasized that these are classification criteria rather than diagnostic criteria, but they do provide insight into the features that differentiate gout from other arthritic conditions, he said. Robert McLean, MD, FACP, a member of the ACP Clinical Guidelines Committee, explained that the ACP guidelines are based on the Institute of Medicine's (IOM) definition of clinical practice guidelines, published in 2011, which specify that they be informed by a systematic review of evidence. Dr. McLean agreed that the ACR-EULAR gout classification criteria, as well as some clinical algorithms, can be used to help guide clinical judgment. However, he said, "there is insufficient evidence for us to clearly endorse a single one of those tools at this time." 4. that physicians discuss the benefits, harms, costs, and individual preferences with patients before initiating ULT in patients with recurrent gout attacks. But the main disagreement between ACP and ACR arises over the question of a "treat-to-target" approach to gout, where therapy is used to lower uric acid levels below a certain threshold. In its 2012 guideline, ACR recommends a target serum urate level below 6 mg/dL at a minimum, with some patients faring better when the serum urate level is below 5 mg/dL. A new guideline from EULAR released in 2016 includes the same recommendation. The EULAR guideline also notes that although there are effective therapies to lower uric acid levels and control gout, most gout patients are insufficiently treated. ACP's new guideline, meanwhile, does not recommend against a "treat-to-target approach" but advised that there is insufficient evidence to determine whether the benefits of escalating ULT to reach a target uric acid level outweigh the harms associated with repeated monitoring and increased medication. The guideline states that there is no experimental evidence showing the health benefit of treating to one serum uric acid level versus another and that no trial data compare a treat-to-target strategy and a treat-to-reduce-symptoms strategy. Paul G. Shekelle, MD, PhD, co-director of RAND Corp.'s Southern California Evidence-Based Practice Center and professor of medicine at the University of California, Los Angeles (UCLA), noted that the ACP and the ACR 2012 guidelines differ in large part because of the guideline committees' approaches to situations where no conclusive evidence on net treatment benefit is available from randomized controlled trials. Dr. Shekelle was the first author of the systematic review of evidence for the ACP management guideline. Rheumatologists Tuhina Neogi, MD, PhD, and Ted R. Mikuls, MD, MSPH, objected to the ACP guidelines in an accompanying editorial, noting that while ACP suggests that a treat-to-avoid-symptoms approach might be reasonable since a treat-to-target approach has not been adequately tested, "the treat-to-avoid-symptoms approach has not been tested either." Patients in whom this treat-to-avoid-symptoms strategy is used may never be adequately treated and may develop progression of tophaceous deposits, further joint damage, and functional limitations, they wrote. John FitzGerald, MD, PhD, a clinical professor of rheumatology at UCLA, an author on the background reviews for the ACP diagnosis and management guidelines, and an author of the 2012 ACR gout guidelines, said that rheumatologists are concerned about the potential impact on patients from the ACP guideline's nonsupport for treat-to-target. And James R. O'Dell, MD, MACP, chief of the division of rheumatology at University of Nebraska Medical Center in Omaha and a former ACR president, agreed with the editorialists. "Gout is a devastating, crippling, and painful disease," he said, adding that he is "not in favor of setting patient care back in gout by about 50 years" by not treating to target. Although data from randomized controlled trials supporting a treat-to-target approach are lacking, decades of experience by rheumatologists support that approach to care, Dr. O'Dell said. Much is known and undisputed about how uric acid works in the body, particularly that a serum uric acid level above about 6.8 mg/dL is supersaturated and leads to gout crystal deposition in tissues, he said. "The gout community understands what you need to do to treat gout and has understood that for a long time: Get the level below 6.8 mg/dL and then if it's low enough for long enough, the uric acid will get released from the tissues and the patient is going to do well. We know that uric acid is going to become crystallized in tissues if it gets above 6.8 mg/dL," Dr. O'Dell said. He noted that he believes most patients with gout will be well controlled and will remain free of attacks if existing treat-to-target guidance on uric acid levels is followed. Dr. McLean explained that the ACP guideline does not contend that a physician "is doing wrong by treating to target, but just that, without high-quality evidence, we can't say that that clearly is the way to go. Surrogate markers such as uric acid levels may make physiologic sense, but we don't have compelling clinical outcomes-related data that tell us this is the way we should be treating everybody." Because there is no high-quality evidence, the ACP guideline committee could not endorse a treat-to-target strategy. The committee was aware that this finding would not be well received by many in the rheumatology community and was braced for the resulting controversy, Dr. McLean added. "The ACP is not drawing a line in the sand. We are saying what the data indicate, and because we are following the strict directives on what a guideline should be based upon, we can't say more than this," he said. Given the controversy, primary care physicians may be confused about how to treat a patient with gout. "We can't give the most direct advice in a guideline," Dr. McLean said. 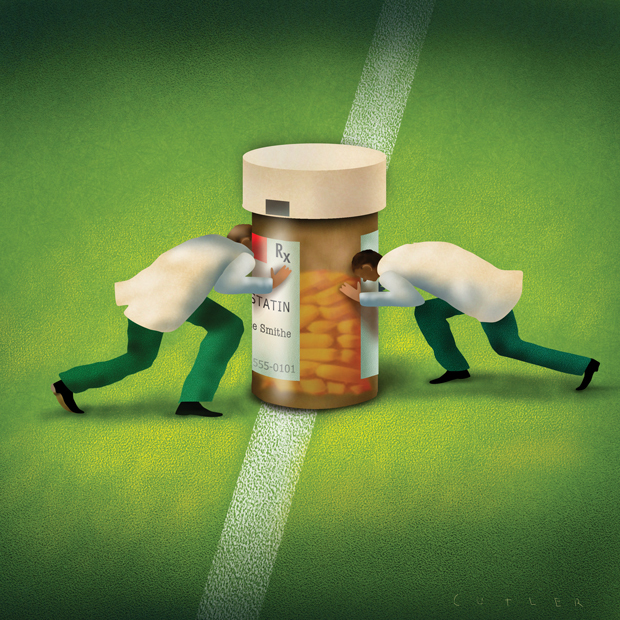 "However, there are other directives or documents that any of these organizations [such as ACR and EULAR] can and should come up with where those experts can say that, while they don't have randomized trial evidence, the physiologic evidence and observational data suggest" diagnostic and management strategies. The ACR's 2012 guidelines were published prior to the new IOM standard for guideline development but "serve the purpose of a best practice recommendation for gout management" and can provide physicians with advice, Dr. McLean said. Dr. Fields agreed and noted that the decisions that physicians must make in their day-to-day practice cannot rely solely on the highest level of evidence from randomized controlled trials, particularly when those trials have not yet been conducted. He added that it's critical for physicians to know the quality of the evidence they are using to make clinical decisions. "However, we need to use all available evidence, along with expert opinion, to achieve optimal patient outcomes," he said. Dr. McLean, meanwhile, reiterated that ACP is unable to endorse a treatment that is not explicitly supported by strong evidence. "The guideline is a directive based upon the best evidence," he said. "If there is no strong evidence that answers the clinical question, then maybe the guideline is not the place to find every answer." Kathy Holliman is a freelance writer in Beverly, Mass. Centers for Disease Control and Prevention. Gout. Accessed on Dec. 15, 2016. McLean RM. The long and winding road to clinical guidelines on the diagnosis and management of gout. Ann Intern Med. 2017;166:73-74. Newberry SJ, FitzGerald JD, Motala A, Booth M, Maglione MA, Han D, et al. Diagnosis of gout: A systematic review in support of an American College of Physicians clinical practice guideline. Ann Intern Med. 2017;166:27-36. Shekelle PG, Newberry SJ, FitzGerald JD, Motala A, O'Hanlon CE, Tariq A, et al. Management of gout: A systematic review in support of an American College of Physicians clinical practice guideline. Ann Intern Med. 2017;166:37-51. Several management strategies for gout have been outlined by ACP, the American College of Rheumatology (ACR), and the European League Against Rheumatism (EULAR). These options, and the differing opinions about them, are summarized below. Urate-lowering therapy (ULT) should begin if a patient has two or more gouty attacks in a year or after one attack if the patient has renal dysfunction. The ACP guideline, the ACR 2012 guidelines, and the EULAR 2016 guidelines are in agreement that a patient with only one attack and normal kidney function need not begin ULT. Both ACR and EULAR recommend that ULT can, however, be considered from the first presentation of the disease. Patients should be treated with NSAIDs, systemic corticosteroids, or low-dose oral colchicine during an acute attack, which is another point of agreement between the ACP and the ACR 2012 and EULAR 2016 guidelines. The ACR 2012 and EULAR 2016 guidelines strongly recommend that a patient's uric acid level be monitored and that ULT should aim to lower that level to the target range. The ACP guideline notes that while a treat-to-target strategy "has logical appeal and is supported by observational evidence," the strategy has not been experimentally tested. The need for a long-term trial of this strategy is the "most important research need for management of gout in primary care," according to the ACP guideline. 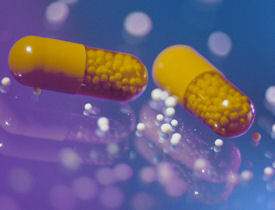 Starting ULT usually causes an increase in acute gout attacks for a few months; therefore, prophylaxis with colchicine or an NSAID over a period of several months will be needed to mitigate the flares, according to the ACP, ACR 2012, and EULAR 2016 guidelines. The ACP guideline states that moderate-quality evidence suggests that this therapy is more effective at reducing gout flares if taken longer than 8 weeks. For recurrent gout, ACP, ACR, and EULAR recommend one of the xanthine oxidase inhibitors, either febuxostat or allopurinol, as first-line ULT. The ACP guideline includes a table that provides information about usual dosages and costs of these drugs, as well as their risks and benefits. The ACR and EULAR guidelines recommend talking to patients about their diet and the need to avoid organ meats, beverages, and foods with high-fructose corn syrup, as well as overuse of alcohol. Patients should limit serving sizes of red meats, seafood, table sugar, and salt and should consume more vegetables, the ACR and EULAR said. However, according to the ACP guideline, there is insufficient evidence for gout-specific dietary advice or therapies to improve symptomatic outcomes.